This web site is designed to provide information about meeting agendas and improve the way you prepare your meetings. In order to have effective meetings it is essential to inform the meeting attendees about the purpose of the meeting, so that they can prepare actively for it. The Agenda is the outline of the topics that need to be addressed during the meeting. 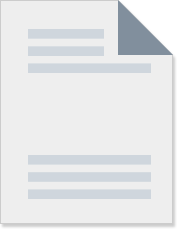 This web site is intended to help you create better agendas. 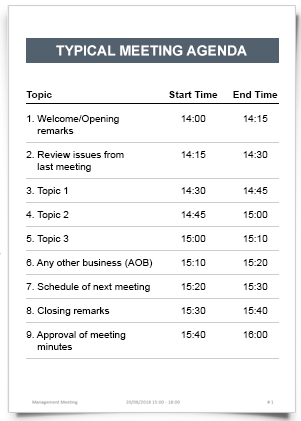 If you are trying to optimize and streamline your meetings you could consider using an Agenda Software application (also referred to as Meeting Management software). Here is a review of Agenda Software applications.